Category: Chiapas Collection. 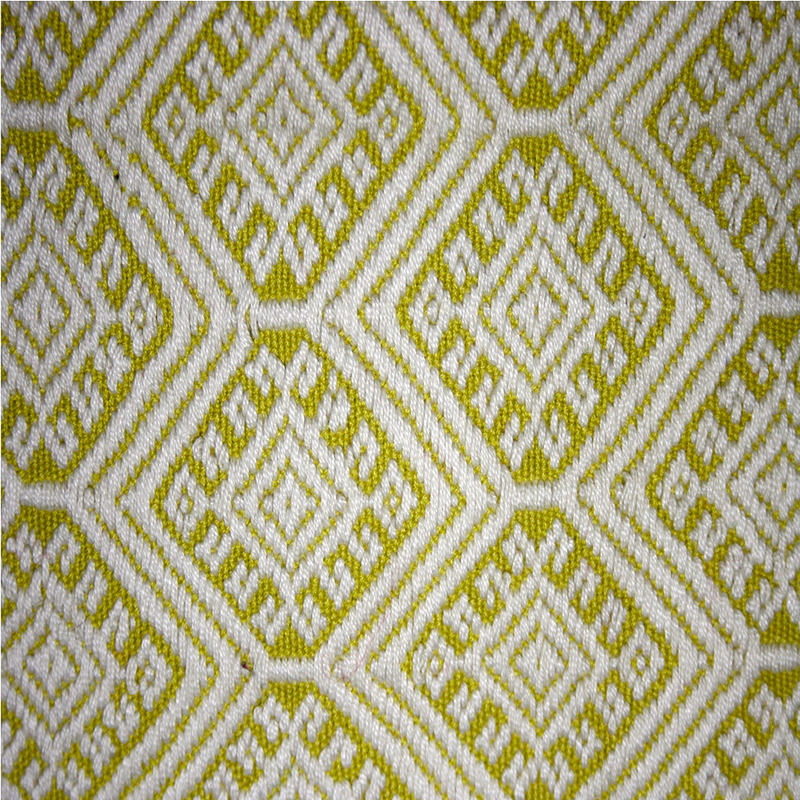 Tags: back strap loom weaving, brocade, Chiapas, cushion cover, fair trade, hand finished, hand woven, lime, Mayan weavers, Mexico, traditional handicraft, white. 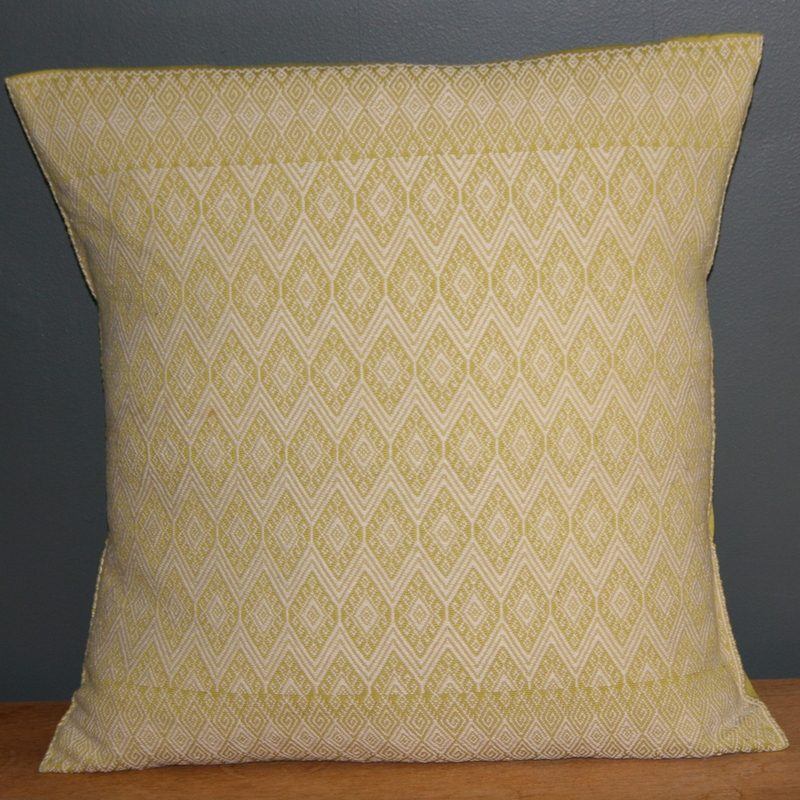 Add some zest to a room with these lime and white hand woven brocade cushion covers which have been handcrafted in Mexico using the traditional back strap loom. 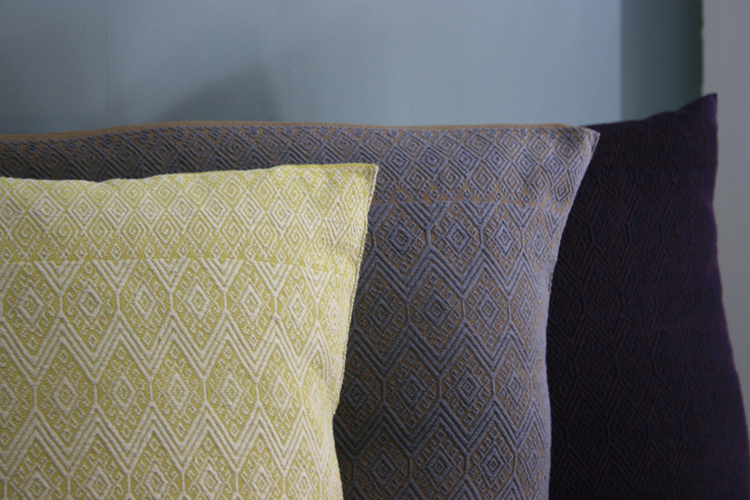 Each cushion cover is carefully handcrafted, taking up to three days to complete, and all the finishing is done by hand. 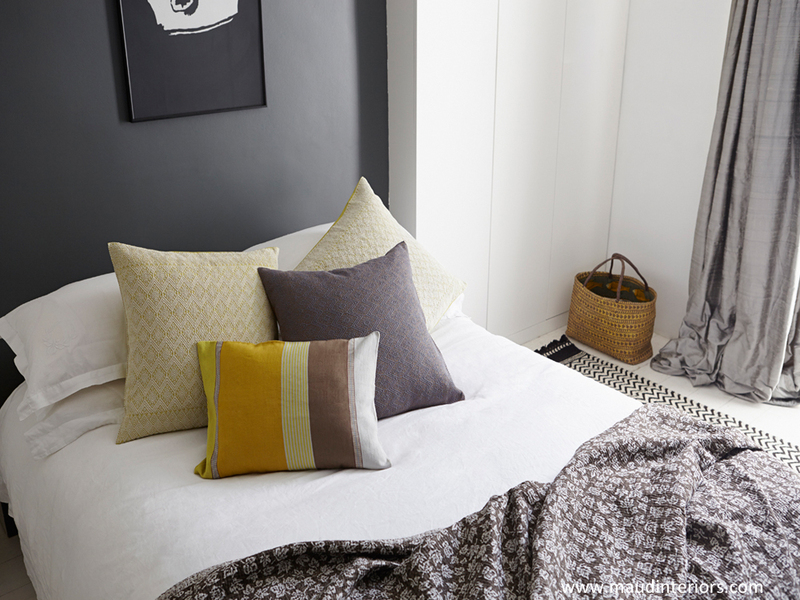 This eye catching design will freshen up a dull sofa or chair. 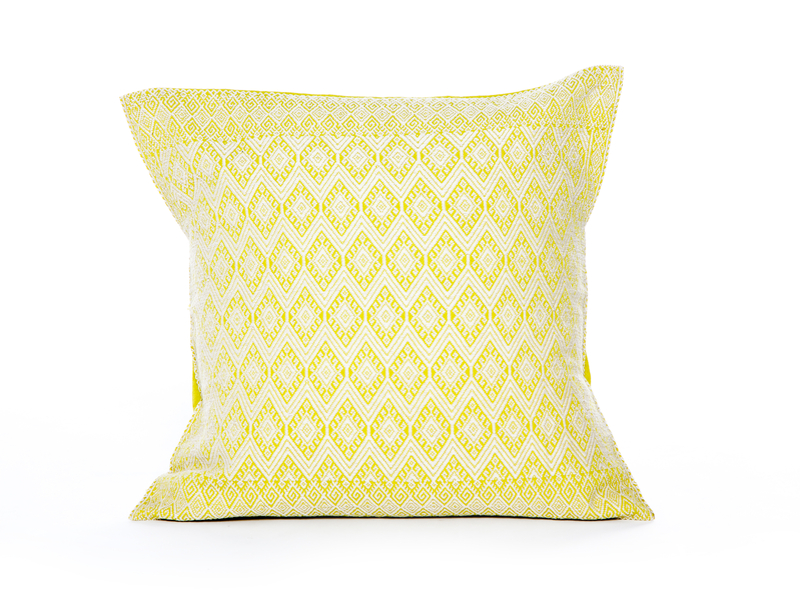 The cushion covers feature Mexican motifs on the front and are backed in lime cotton. Roll over the photos to see the brocade in more detail. To find out more about the not for profit association behind these cushions click here.